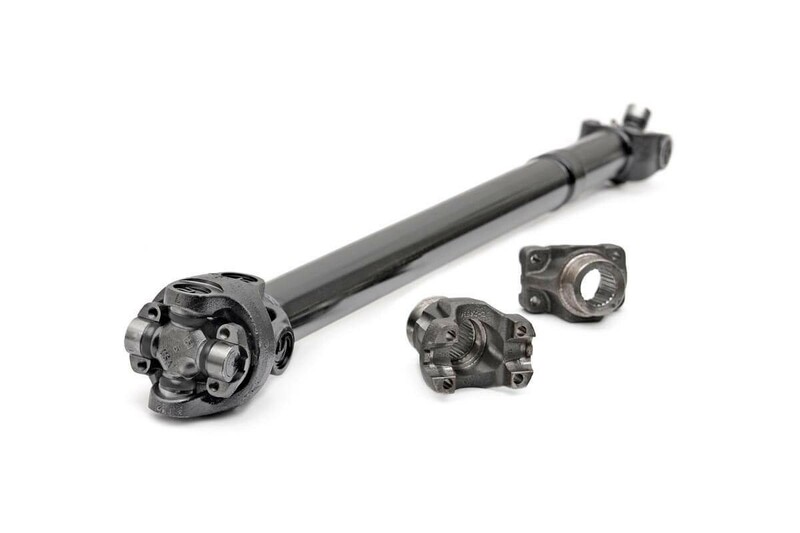 After lifting your Jeep JK Wrangler a CV (Double Cardan) drive shaft is a good choice to eliminate vibration issues and provide the longest lasting drive shaft. Grease fittings are out of the way of the transmission oil pan meaning you get grease to the joints that need it and not all over the botom of your Jeep. Recommended on models with 3.5in - 6in of lift.